This high class Toronto wedding at the St. Regis Hotel Toronto, formerly known as the Adelaide Hotel and the Trump International Toronto before that. This high end luxury hotel has played host to some of the most promenant people who have visited Toronto. 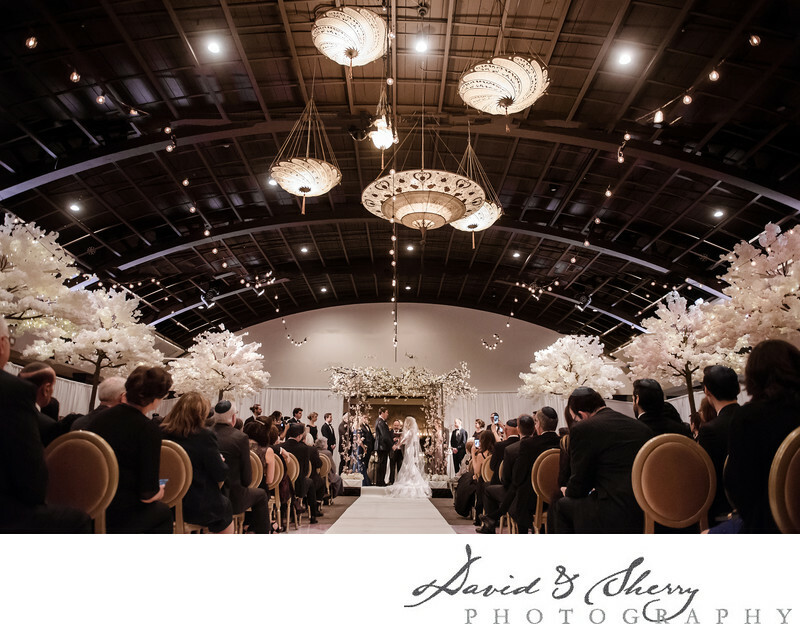 Known as a new era of glamour this venue is host to the most upscale weddings with the most beautiful decor in the city. With spaces to take beautiful photos, entrances that will dazzle your guests and food which will tantalize the senses, you would do well to host your ceremony and reception at a place as grand as the St. Regis. Few venues I have ever seen hold such beauty in terms of places to take wedding photos in Toronto within the venue itself. From it’s grand staircase to the mirrored hallways, there is something different around every corner. There are great places to take family photos, bridal party photos, moments of the flower girl and ring bearer, shots of grandma and grandpa dancing, the first kiss, the look down the aisle and of course wonderful photos of the bride and groom themselves. 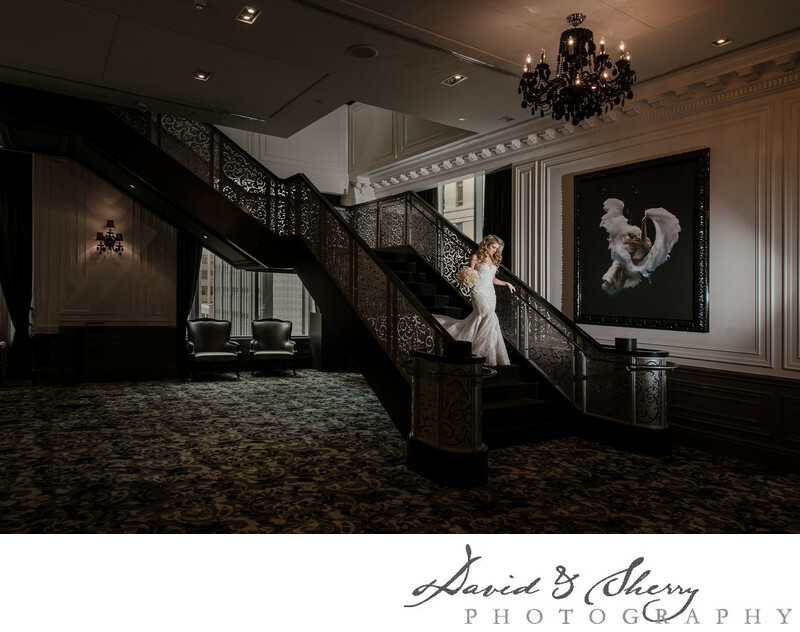 This picture of the bride walking down the grand staircase lends to the beauty and style of the Vera wang dress the hotel’s wonderful feel and how every bride wants to experience her special day. Location: 325 Bay St. Toronto, ON M5H4G3.